Recreation Professionals of Ontario was formed in 1984 by a group of Activity Professionals in Central Ontario who were interested in providing a forum for education, networking, and standard setting. Since 1984, RPO has been recognized by the Ministry of Health as a professional group for leisure/recreation providers. RPO was incorporated as a non-profit organization in 1992. 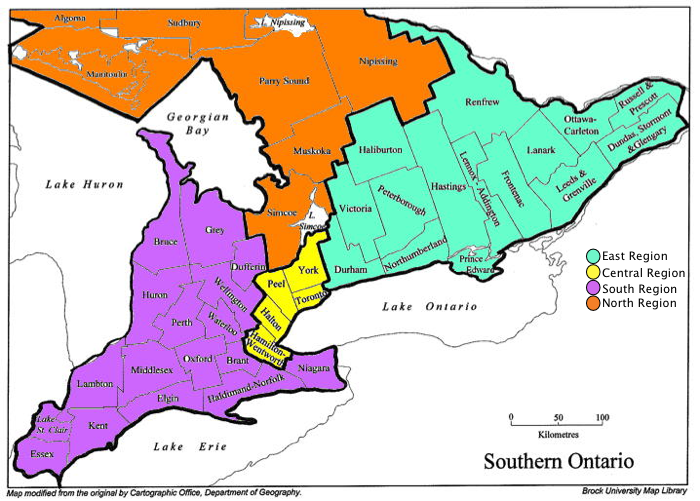 An established board of directors represents all regions in Ontario. Members of the board of directors and executive are elected officials from the RPO current membership. To provide excellent professional development opportunities in education, certification, and other professional issues. To ensure a clear network of communication between members, other professionals, and government agencies. To establish standards, guidelines, and other resources that will enhance members' professional roles and career development. Click here to download more information about Recreation Professionals of Ontario. RPO is divided into four separate regions: East, Central, South and North. Which Region Are You ? Remember, your regional designation is based on the location of your workplace. Here is a list of communities in each region. If you can't find your community, please contact us.